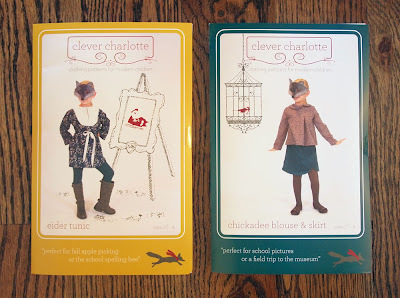 Fancy Tiger Crafts: New Clever Charlotte Sewing Patterns for Modern Children! New Clever Charlotte Sewing Patterns for Modern Children! Clever Charlotte sewing patterns are here! 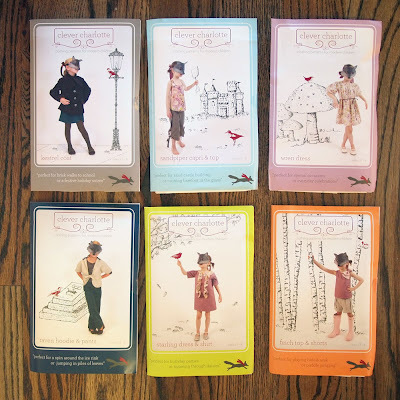 This new line of sewing patterns features modern clothing perfect for fashionable little folks. We love the quirky packaging and can't wait to see you stitch these up! It's Time to Register for the Makerie Retreat! Scrumptious Yarn by Fyberspates is Here! An Abundance of Locally Handspun Yarns! A New Year and New Echino!